Students of Scottish miling in particular and middle distance running in particular will be familiar with the name of Duncan McPhee who dominated the distance in Scotland in the 1920’s. Few will know that his brother was a Scottish champion on the track and over the country, and only a very select few will know that their father was also a top class athlete. They formed probably the first Scottish distance running dynasty spanning more than one generation. The Vallance brothers (Tom and Alex were Scottish champions and record holders, Tom and Willie Maley were also great sporting brothers and along with brother Alex all became football managers, and there were other noted siblings but none of them had parents or children who followed in their footsteps. Alex McPhee, senior, and Flora his wife had nine children: Alexander was a blacksmith of Nethercraigs, Paisley. The smithy was on Corsebar Road next to the toll house. All his elder brothers including Alex were evidently in the blacksmith trade. His dad, Alex, was himself a well-known runner in his day and competed against the likes of Robert Hindle, Cutty Smith and William Park; some of the biggest names in Scottish pedestrianism. Alex Wilson pointed out an article in the ‘Glasgow Herald’ of 8th April, 1872, of a race involving Alex McPhee, Snr. Six Mile Race: 1st William Smith, Paisley; 2nd Alex McPhee, Paisley; 3rd Allan Strachan, Galston. In the international that year he was first Scot to finish when he was eighth.In 1911, he dropped out of the national championship but was nevertheless selected for the international where he was thirty first. Despite all this success over the country and prowess on the roads, he was more of a track man who was second in the 1909 SAAA 10 miles at Ibrox on 3rd April in 54:04.0, beaten by a yard by the great Tom Jack. In 1910 he again finished runner-up to Jack, this time finishing 5 yards adrift in 53:47.4, and ahead of GCL Wallach. Two silvers were good but in the shorter track distance of four miles, he won two gold medals. On 26th June 1909 at Ibrox he won the four miles in 20:36.6 from Tom Jack and on 25th June 1909 at Powderhall he won again, again from Tom Jack, in 20:35.0. Note that in 1909 and 1910 he won two cross-country championships, two SAAA 4 miles titles and had two silvers for the 10 miles. Not bad running at all. For these and other races, he was selected for the match against Ireland on 9th July 1910 he won, again from Tom Jack with the two Irish runners unplaced, in 20:29.4 helping Scotland to a win by 9 events to two. I have a 9:48.8 2 miles at Hampden on 18th June 1910. At Hampden on 18th June, in the Queen’s Park FC Sports 2 miles team race on 18th June he ran 9:48.2 – and a J McPhee, jnr, of Paisley Junior Harriers, was second to T Jack in the handicap half-mile. 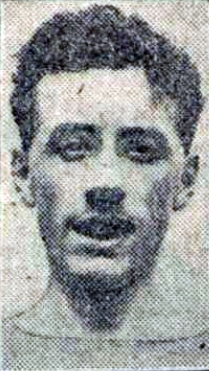 That the junior Alex McPhee was a top level runner is in no doubt – track and cross-country champion, international victor and cross-country internationalist who led the Scottish team home, able to take on such as Tom Jack and GCL Wallach on equal terms and a series of good victories in handicap races. According to the 1901 census, Duncan was at the time the second youngest of 9 children. Brother Alex was six years his senior and all his elder brothers were in the blacksmith trade. But the 1911 census reveals that Duncan was earning his crust as a clerk in a threadmill, the Ferguslie Mills Thread Works of J&P Coats being just a few streets away. Duncan McPhee was the dominant 880 yards/1 Mile runner in Scotland in the 1920’s. He won the SAAA 880 yards in 1914, 1920, 1921, 1922, 1923, the mile in 1913, 1914, 1920, 1921, 1922, 1923; AAA’s Mile Champion 1922, and represented Britain in the 1920 Olympics in Antwerp in the 1500m and 3000m team race. A considerably good record. He came from a good athletics background and was in many ways the best- or atleast most successful of the trio. If there was any chink in his armour, there seemed to be a propensity to avoid difficult races. He was maybe just highly strung. Judge for yourself at the complete Duncan McPhee profile at www.anentscottishrunning.com/duncan-mcphee/ In any case in 1913/14 both Alex junior and Duncan moved from Clydesdale Harriers to West of Scotland for reasons unknown. Be that as it may, it was a very talented family and it may be that others of the 9 siblings were good runners, but even if it were not so the three mentioned here were enough to make them contenders for Scotland’s top athletics family.